Hop, skip and jump into holiday mode with these casual-but-really-very-colourful printed trousers. There's a bright pom-braid trim on the pockets, a comfortable elasticated waist with a canvas drawcord and gathered cuffs for a secure fit. 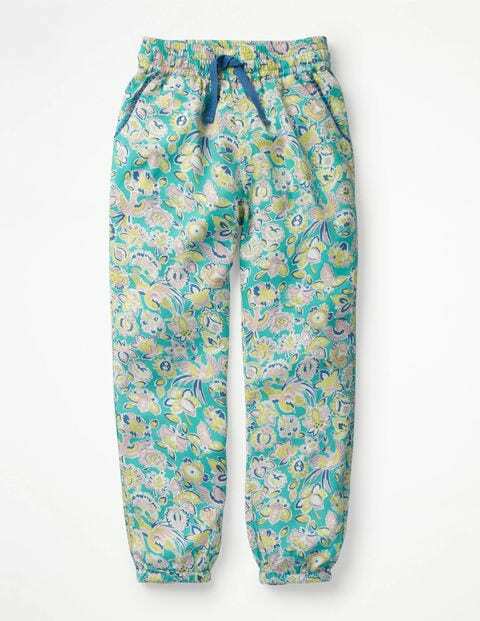 Made from soft, lightweight fabric, these are as comfortable as PJs but smart enough to wear out and about. Win-win.